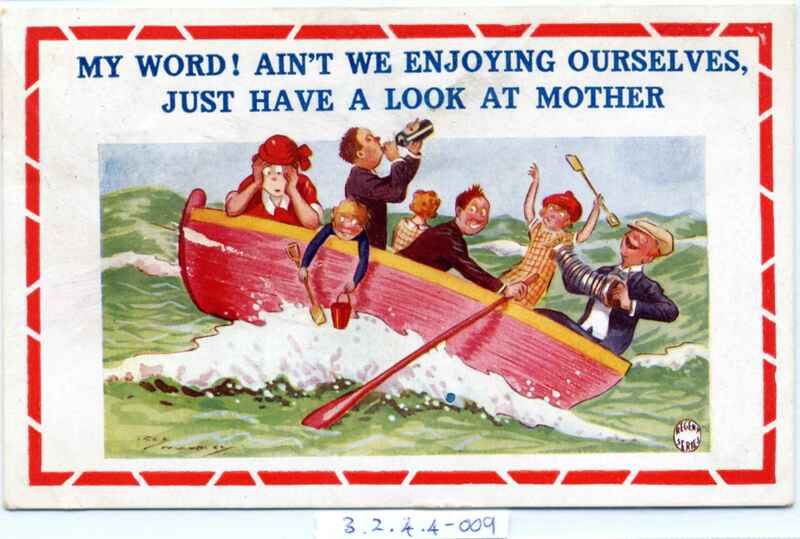 Full Description: A humorous postcard of a rowing boat-load of lively holidaymakers saying "My Word! Ain't we enjoying ourselves, just have a look at mother" (who is looking a bit seasick at the prow..). Small front stamp "Regent Series". The chap at the rear plays an octagonal many-bellowed concertina. Divided rear, postally used, franked Jun 1929, Card by The Regent Publishing Co Ltd, No 5222.